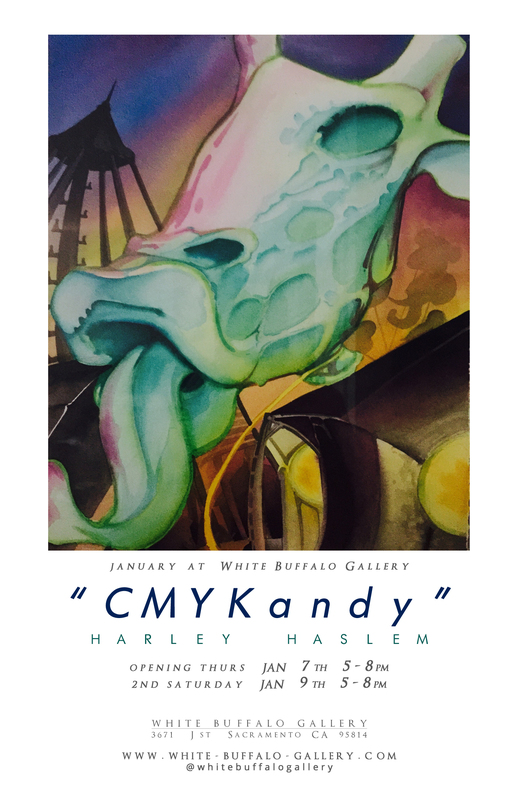 by Harley Haslem running until Feb 2nd. Using a limited color palette usually in the range of Cyan, Magenta, and an Earthy Yellow with a good solid Black for contrast, I have rendered my subjects in a way that appears almost Candy like. Simple concepts are what inspire many of the ideas that I have used in my artwork. Contrast is my favorite, so simple yet so many things in life have counterparts. Another of my favorite design elements would be incidental lighting, or an indirect light source that has bounced off of an object just to one side of the subject. These design elements and so many others, are what inspires my artwork more so than any specific subject matter.